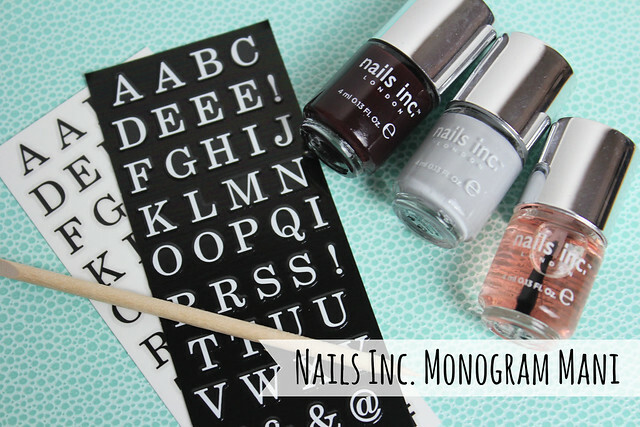 Another nail trend being blogged about from me today – this is the Monogram Manicure from Nails Inc. A new little kit to give your talons the personal touch along with a touch of gloss. The kit comes with a grey (love) and deep burgundy (love) and a set of black and white letters and symbols plus the Kensington Topcoat to top it all off. 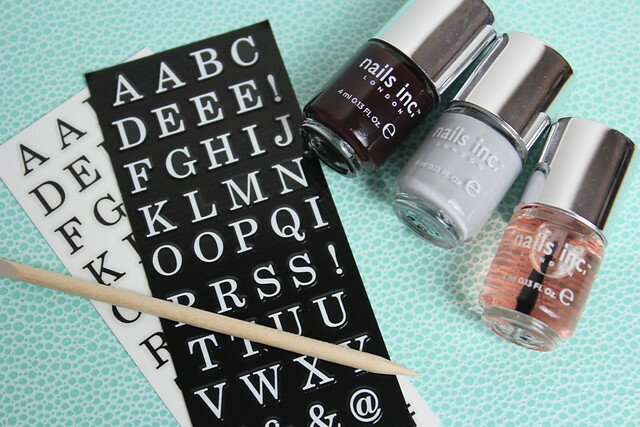 Throw in the little stick and away you go – an easy way to personalise your fingers! 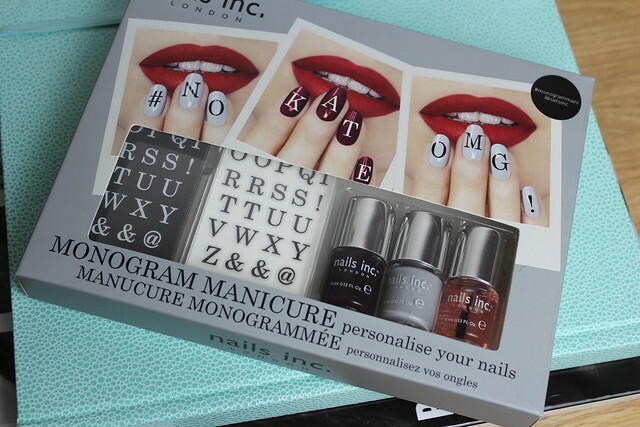 When I went along to the blogger event launch for this new kit and some other new goodies from the brand I had the chance to have the kit applied by the Nails Inc experts…who naturally have much steadier hands than me! 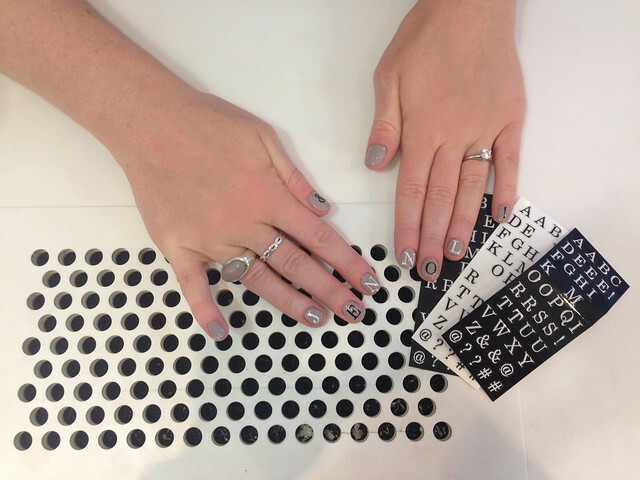 So I decided to go for the grey base and have ‘Jen & Nol!’ (Nol is the nickname of my fiance) – I know….cheesy, but I couldn’t help it and couldn’t think of anything else to put on my nails! The stickers can look great when applied, but if you don’t get them perfectly smooth you can tend to have slight bumps or bubbles – so definitely want to make sure they’re as smooth and flat as possible when applied to avoid this. But it’s a cute idea, and I like how they kept the colours for the base nice and classic and classy with the grey and the burgundy as think this kit could lean towards the tacky side if using flouro colours or anything more on trend. But keeping it simple definitely looks lovely with the colour combo that’s easy to wear with everything and then thrown in the novelty of the lettering. Oh I want the set, it looks so much fun and will definitely get peoples attention. What a cool Idea! !